FORT MYERS, Fla. – Rick Keating has been collecting and selling antiques for years, however now you can see his collection and maybe take home something of your own. Rick’s Trading Post, opened in December and is home to some very unique and rare collectibles. From sports memorabilia, to old toys and metal signs, there’s something of everything. 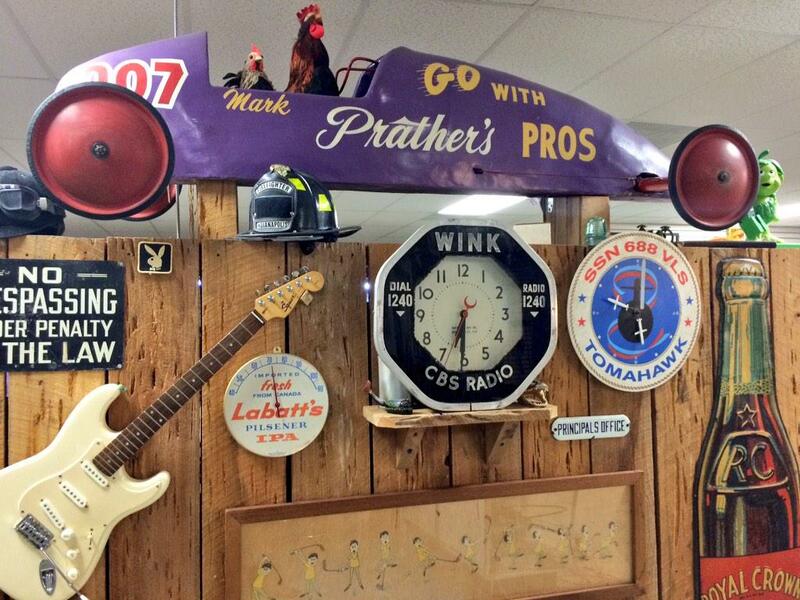 Highlights of Rick’s collection include an autographed picture by Joe Dimaggio and his two brothers, signage from the first Sinclair gas station in Fort Myers and a 1959 Fort Myers soap box derby racing car. Keating, is constantly on the hunt for new merchandise and collectibles. Always looking for unique items, If you have a collection or a piece you’d like to sell or even just have appraised, you can visit Rick’s Trading Post at 1910 Courtney Drive in Fort Myers or call him for a house call at 239-980-6727.